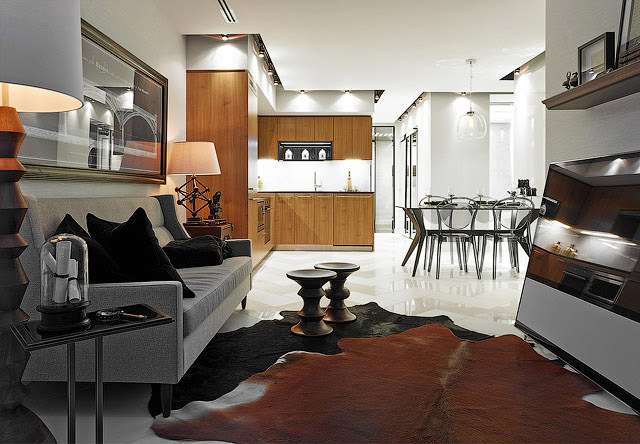 Concord Adex's Park Place Opus condo is designed by figure3 interior design. The wide and shallow suites along the perimetre of the building take advantage of the abundant sun light and unobstructed window views. The efficient interior uses structural feature wall with fireplace to divide the dinning room and living room. The den is multi-functional which can function as a study or bedroom with a fold down bed.